Murali Vijay and Shikhar Dhawan smile as they leave the ground at the end of the first day of their second cricket test match against South Africa in Bangalore. 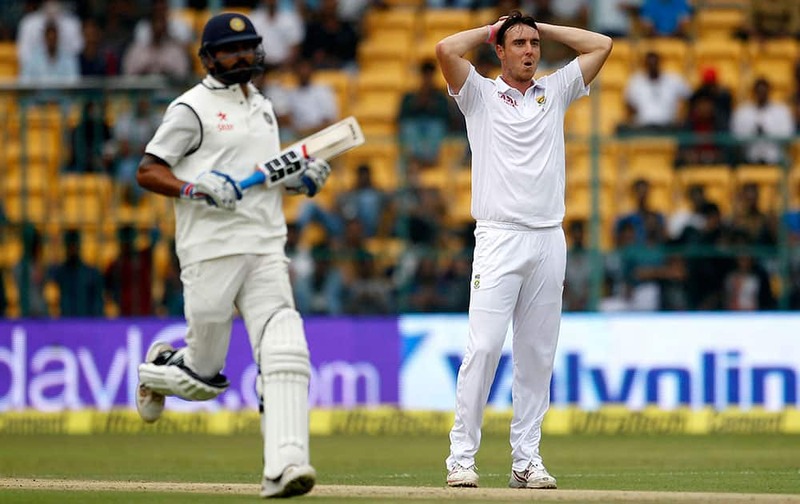 South Africa's Kyle Abbott reacts after India's Shikhar Dhawan hit a boundary on his delivery during the first day of their second cricket test match in Bangalore. 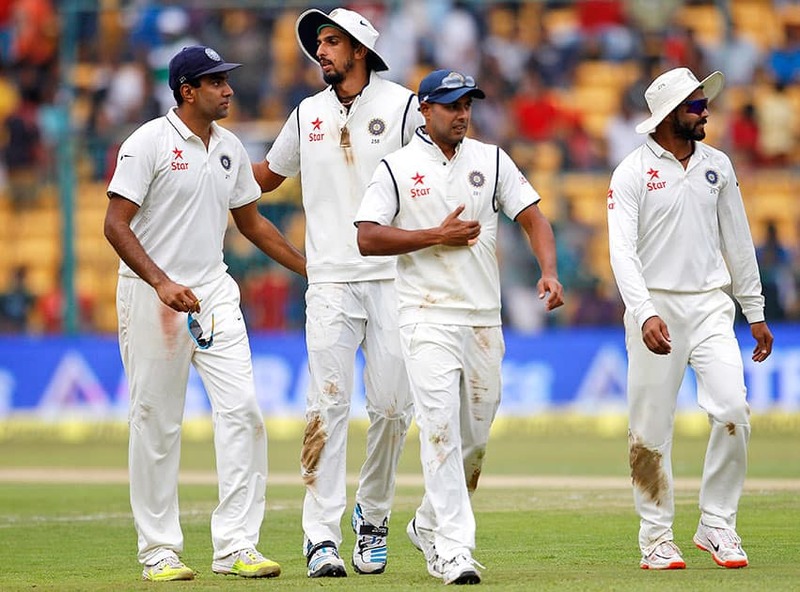 Indian players from left, Ravichandran Ashwin, Ishant Sharma, Stuart Binny and Ravindra Jadeja leave the ground at the end of South Africa's innings during the first day of their second cricket test match in Bangalore. 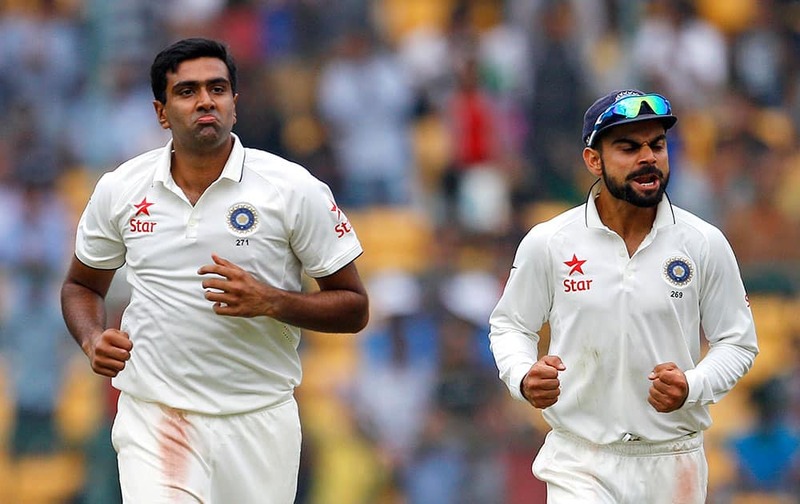 Ravichandran Ashwin and captain Virat Kohli celebrate the dismissal of South Africa's Morne Morkel during the first day of their second cricket test match in Bangalore. 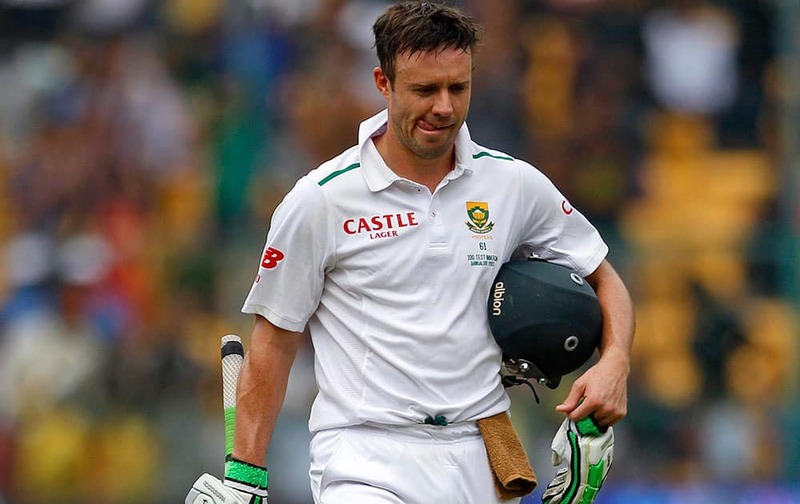 AB de Villiers reacts as he leaves the ground after losing his wicket during the first day of their second cricket test match in Bangalore. 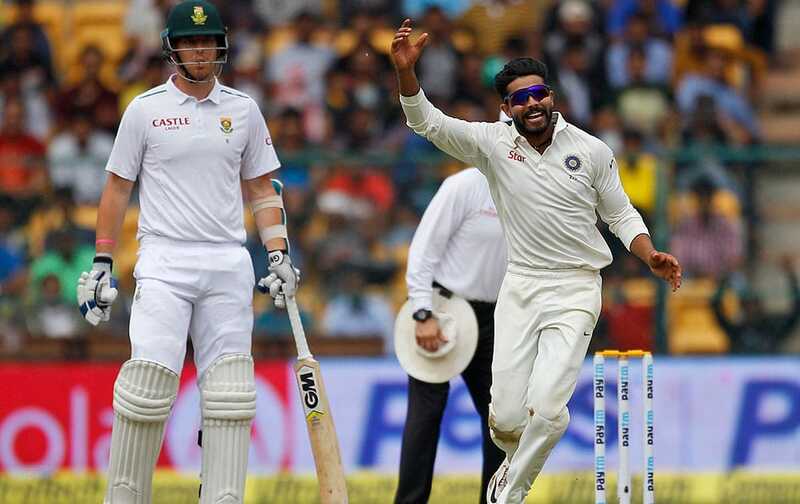 Ravindra Jadeja celebrates the dismissal of South Africa's AB de Villiers during the first day of their second cricket test match in Bangalore. 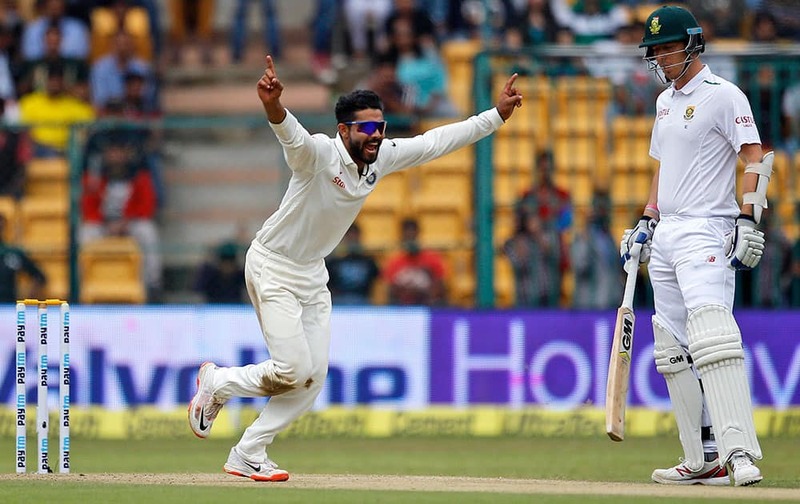 Ravindra Jadeja celebrates the dismissal of South Africa's Kagiso Rabada during the first day of their second cricket test match in Bangalore. 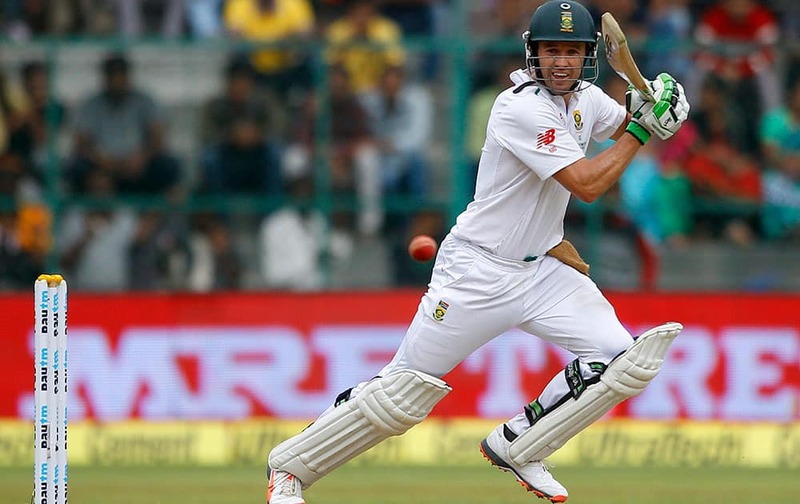 South Africa's AB de Villiers plays a shot during the first day of their second cricket test match against India, in Bangalore. 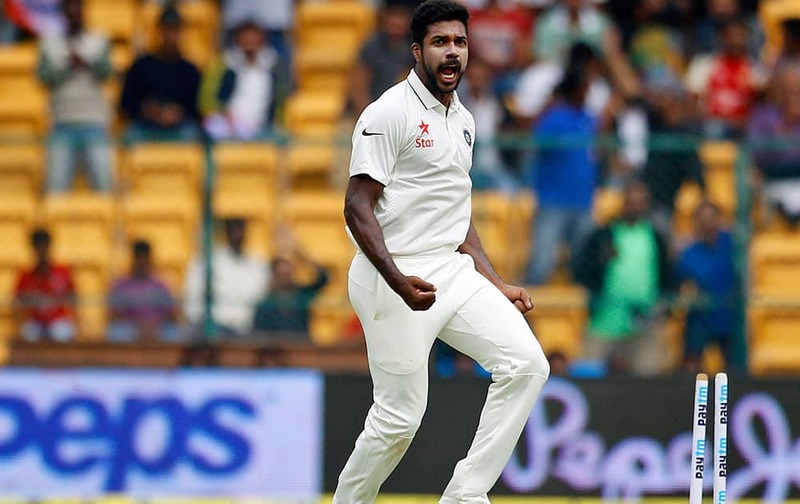 Varun Aaron celebrates the dismissal of South Africa's captain Hashim Amla during the first day of their second cricket test match in Bangalore. 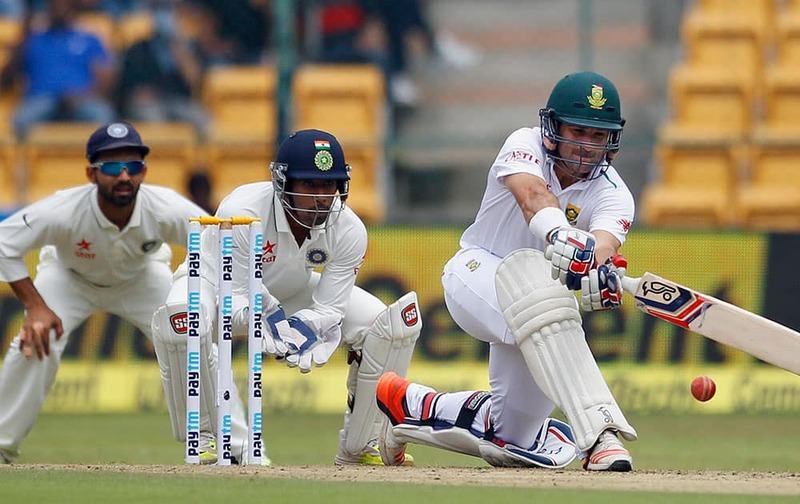 Ajinkya Rahane and Wriddhiman Saha watch South Africa's Dean Elgar play a shot during the first day of their second cricket test match in Bangalore. 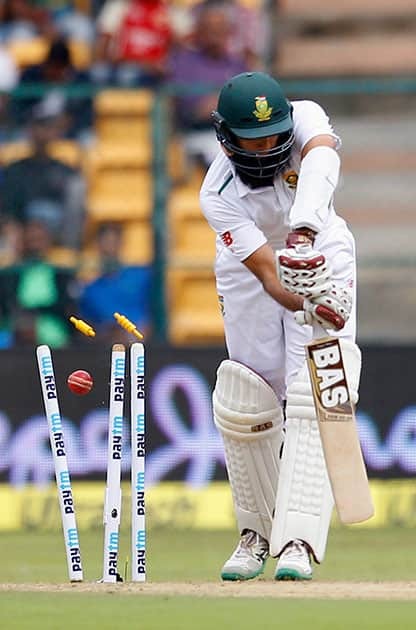 South Africa's captain Hashim Amla is bowled out by India's Varun Aaron during the first day of their second cricket test match in Bangalore. 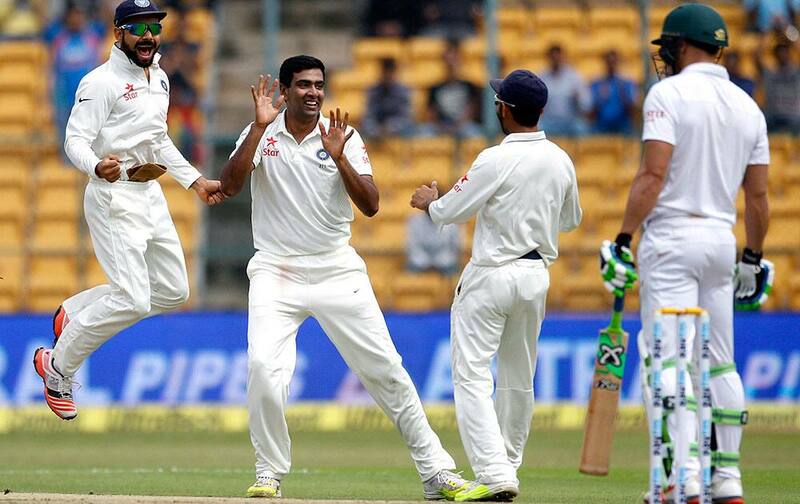 Ravichandran Ashwin and captain Virat Kohli celebrate the dismissal of South Africa's Faf du Plessis during the first day of their second cricket test match in Bangalore.